Thanks for dropping by our website. We are Jose and Laura Lopez Team ! We are known and advertised as: "Eco Agent Realty International Team”. We work as a full time real estate and know our combined talents will provide the very best service to our clients. Our clients benefit in every aspect from our extensive real estate & mortgage experience, education and training. Buying or selling, our clients become winners when they join our team. From the very first meeting and through closing, we are right there with you. We do all we can to take the stress out of the home buying or selling process. . Buying or selling a home is made as easy as possible when you work with Jose & Laura Lopez. Two heads really are better than one, especially when they are both Working For You. 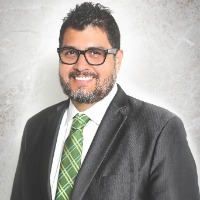 Jose and laura provides Real Estate Residential , Commercial and business advisory services with extensive interaction with the Hispanic/Latin Population in Texas, Mexico and Latin America . Services provided include buyer/seller, tenant/landlord representation, and business advisory services. Licensed Texas Real Estate Agent since 2000 Member Founder , LAREP Latin Association Real Estate Professionals 2000 Member Founder , HAREP Hispanic Association Real Estate Professionals 2001 Member, National Association of Hispanic Real Estate. Professionals 2001 Member, National Association of Realtors 2000 Member, Texas Association of Realtors 2000 Board of Directors and Founder , Farmers Branch Hispanic Chamber of Commerce 2007 President of the Carrollton-Farmers Branch Hispanic Chamber of Commerce 2008-2010, President of the Tri-County Hispanic Chamber of Commerce 2010-2012, Member of the Rotary Club Plano Latin American 2012-2016, CERTIFICATION Certified International Property Specialist (CIPS) 2016 -Advisory Board Metrotex 2016, Vice Chair Global Business Council Metrotex 2017, Chair Global Business Council Metrotex North Texas 2018. Awards: Top 50 Realtor in Texas 2017, Top 250 NAHREP 2107.